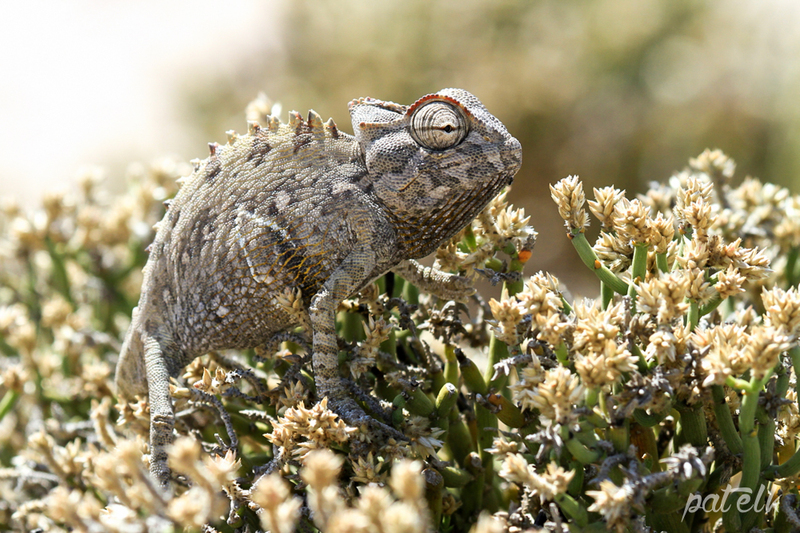 The Namaqua Chameleon is found mainly in the Namib Desert. They feed on beetles, insects, other chameleons, small snakes and mice. They drink water from the dew that collects on leaves. We managed to see this one on a trip to Namibia.